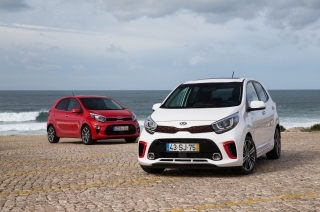 Kia's smallest car in Europe ­– the youthful, stylish and fun-to-drive Picanto – is available with two highly distinctive body styles for the first time with the inclusion of crossover-style ‘X-Line’ model alongside the conventional five-door city car. The ‘X-Line’ and ‘X-Line S’ variants are longer, wider and taller than conventional city cars and have increased ground clearance. 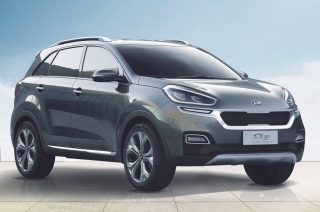 They make no pretence at being a full-blown SUV – they are driven through the front wheels only – but have a more rugged look which will broaden the appeal of the Picanto in a market in which the crossover is king. The ‘X-Line’ and ‘X-Line S’ variants are powered by a 1.25-litre engine with either a five-speed manual or a four-speed automatic transmission and are heavily based on the ‘GT-Line’. The Picanto is more spacious and more practical than its predecessor while occupying not a millimetre more road space. It introduces major improvements in quality so that it can compete on an equal footing with the premium German models which have entered its market sector. 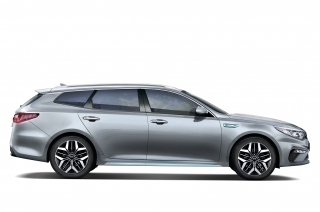 Advanced connectivity and driver assistance features now keep occupants fully in touch with the outside world while minimising the risk of accidents. A new platform featuring twice as much high-strength steel as the previous Picanto boosts strength and safety, and the range includes ‘GT-Line’ and ‘GT-Line S’ variants to add a level of sportiness to the Picanto line-up. 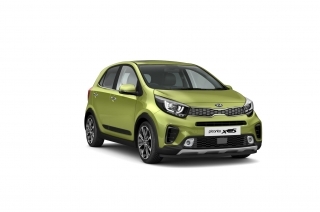 All models are powered by modified versions of the 1.0-litre and 1.25-litre normally aspirated petrol engines from the previous Picanto, now with lower fuel consumption and emissions. 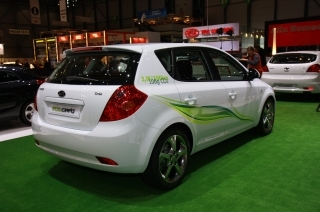 The Picanto is capable of up to 50.4mpg, with CO2 emissions from 114g/km. 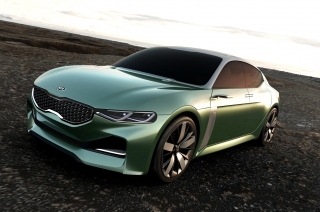 A 99bhp version of Kia's 1.0-litre T-GDi (Turbocharged Gasoline Direct injection) engine joined the line-up in 2018. In line with market demand, the Picanto is available only as a five-door car. 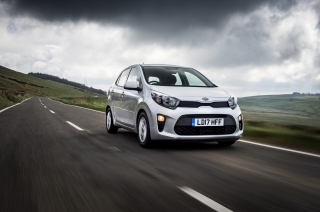 The Picanto competes in the A-segment, or city car sector of the UK and European car markets, one step down in size from traditional superminis. It is a sector which is shrinking in size with increasing customer demand for crossover-type models over conventional city cars, hence the decision to introduce the distinctively bodied ‘X-Line’ and ‘X-Line S’ variants. The segment accounts for more than one million sales a year in Western Europe. In the UK, A-segment sales amount to around 130,000 a year and the Picanto has regularly been one of the top five best-selling models. The UK contributes almost a quarter of Picanto sales in Europe. Around 60 per cent of buyers are women, and private buyers account for four out of every five customers. In this area of the market, size matters. 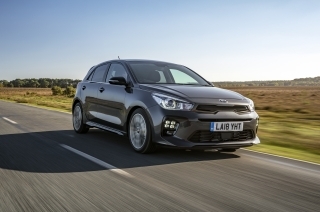 Customer research shows that city-car buyers do not want big cars, so Kia engineers and designers have ensured that the Picanto is no larger than the previous model, while delivering greater space and practicality. The ‘X-Line’ and ‘X-Line S’ variants are 75mm longer, 30mm wider and 15mm taller, with the increase in height accounted for by the greater ground clearance. 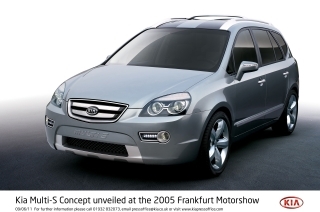 Price, exterior design, value for money and equipment – areas in which Kia has traditionally been strong – are the prime motivators among customers in this corner of the market. 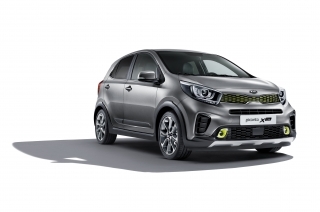 Kia confidently expects the more stylish, more spacious, sportier and more modern Picanto to increase its market share significantly in the next few years, especially with the arrival of ‘X-Line’ and ‘X-Line S’ variants. There are 14 versions of the Picanto on offer in the UK, based on three engines, two transmissions and seven trim lines – grades ‘1’, ‘2’, ‘3’, ‘X-Line’, ‘X-Line S’, ‘GT-Line’ and ‘GT-Line S’. The unchanged size of the conventional Picanto disguises the ingenuity that has gone into its packaging to improve passenger and luggage space. 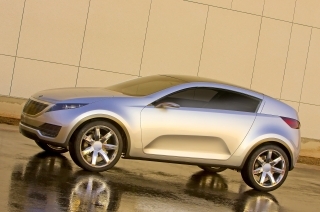 It is 5mm taller than the previous model at 1,485mm, and has a 15mm longer wheelbase – now 2,400mm. 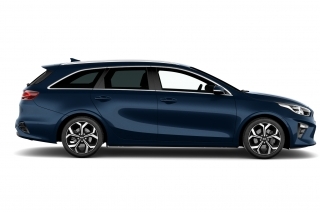 The front overhang is shorter to give the car a squatter, sportier stance, while the rear overhang is longer to enhance the profile and create more luggage space, which goes up from 200 litres to a class-best 255 litres. This increases to 1,010 litres with the rear seats folded. 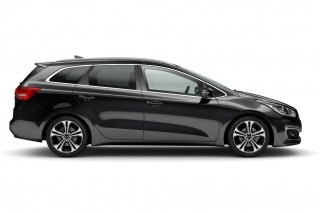 There is a lower waistline to make the cabin lighter and airier, a slimmer dashboard to enhance space for the driver and front passenger, and lower seats placed further backwards in the cabin. 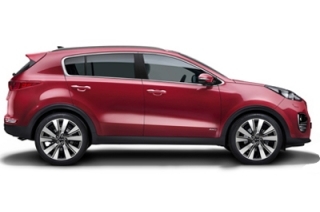 There is more front head, leg and shoulder room than in the previous model, with largely unchanged space in the rear. 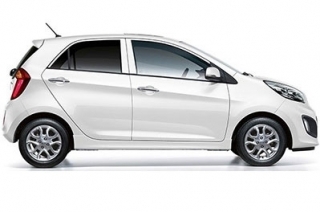 The changes in wheelbase and overhang dimensions have given the Picanto a different character to its predecessor. 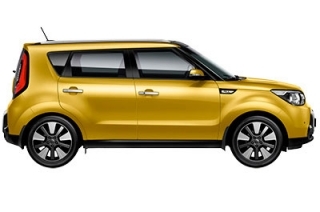 Whereas the previous model was regarded by buyers as 'cute' and 'cheeky', the newcomer is sportier and more sophisticated. 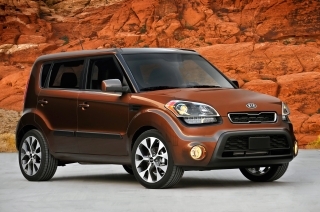 It has a more voluminous body which is simple and modern. 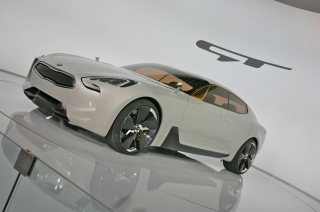 The design was a joint effort by Kia's studios in Germany and at Namyang in South Korea, where the car is sold under the 'Morning' name. At the front there are wider grilles and air intakes flanked by multi-focus reflector or bi-function projection headlamp units, depending on model. The front fog lights, where fitted, are housed in separate side grilles or, on ‘X-Line’, ‘X-Line S’, ‘GT-Line’ and ‘GT-Line S’ models, within the main lower grille. Air curtains in the side grilles channel air away from the wheel arches and wheels to reduce turbulence and improve aerodynamics while adding a more dynamic appearance. 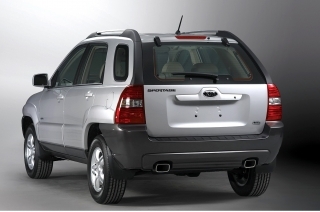 There is a bolder, more assertive bumper, which is echoed at the rear. 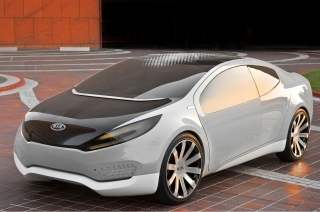 The top of the windscreen is castellated, as on several other Kias. The black upper radiator grille with a silver paint or chrome surround is wider and slimmer than before, emphasising the Picanto's sportier appearance. At the sides, the waistline is lower and flatter, the window area has consequently been enlarged and the wheel arches are more emphatic. 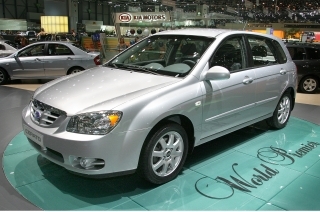 Wheels of between 14- and 16-inches in diameter fit snugly in their housings, there are body-colour or chromed door handles, black or chrome belt-line strips and black or body-coloured door mirrors, with integrated indicators on upper models. 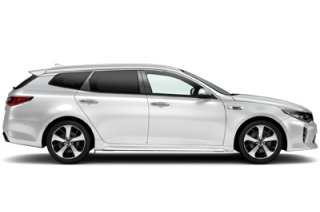 The wide rear roof pillar – a familiar Kia styling feature – is now more upright to accentuate the greater cabin space. Inside, the Picanto follows other recent new Kias with a horizontally structured dashboard split into display and control areas, separated by a satin chrome trim strip which emphasises the cabin's width and the car's strong, stable stance. Vertical ventilation outlets at the outer edges of the dashboard act as bookends for the instruments and display areas. 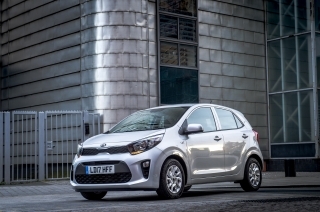 New materials and trim enhancements emphasise the significantly improved quality of the Picanto. 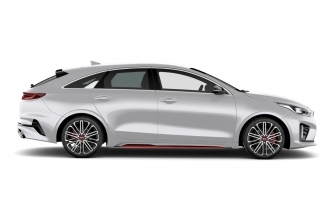 The seats are in smart black cloth, premium black cloth, grey faux leather or black and red faux leather, depending on model; there are black, silver paint or satin chrome door handles; and leather trim adorns the steering wheel and gear-lever from grade ‘2’. 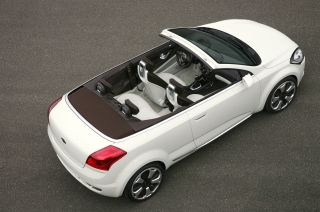 Passenger and luggage space in ‘X-Line’ and ‘X-Line S’ models are identical to that in the other grades, but passengers sit higher up for a more commanding view of the road. 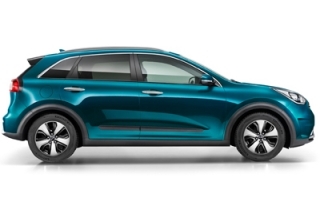 The car's increased size results from a 35mm longer front overhang and a 40mm greater rear overhang because of the crossover-inspired styling changes. There are black side sill mouldings and wheel-arch cladding, silver skid plates beneath the front and rear bumpers and twin exhaust outlets. 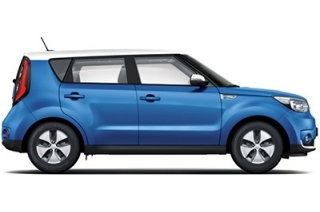 ‘X-Line’ and ‘X-Line S’ models ride on 16-inch alloy wheels with 195/45 R16 tyres. ‘X-Line’ and ‘X-Line S’ models have unique grey faux leather upholstery and feature satin chrome interior door handles and Aluminium pedals with rubber inserts. The lower centre console trim, air vents and door armrests are unique for ‘X-Line’ and ‘X-Line S’ models with white and green accents. 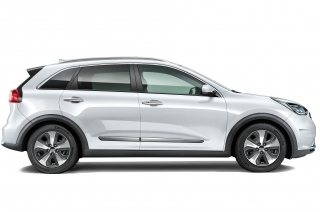 ‘X-Line S’ variants are further differentiated by chrome exterior door handles and an electric sunroof, and feature automatic air conditioning, cruise control and speed limiter, heated front seats and steering wheel and a smart key with engine start/stop button. 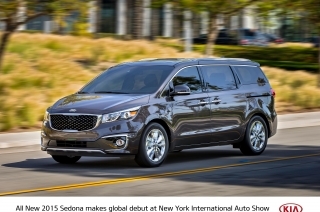 The driver and front passenger sunvisors have a vanity mirror with illumination on the driver’s side and there’s a dual height luggage area floor, boosting versatility. 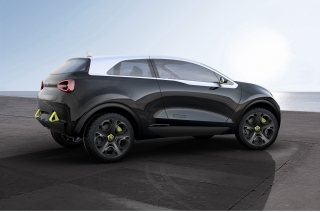 Wireless mobile phone charging is a feature of ‘X-Line S’ variants, together with a 7-inch touchscreen satellite navigation system with RDS and DAB radio, with Kia Connected Services powered by TomTom™ and Android Auto™ and Apple CarPlay™ connectivity via apps pre-loaded onto a smartphone. ‘GT-Line’ and ‘GT-Line S’ have larger sports front and rear bumpers and red highlights within the upper grille and side air intakes, along the side sills and in the lower rear bumper, which contains a diffuser section and twin exhaust tailpipes. 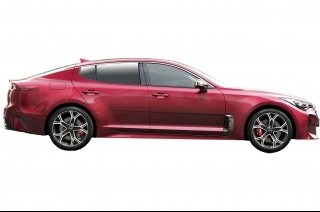 They have black and red faux leather upholstery and also feature satin chrome interior door handles and Aluminium pedals with rubber inserts. The ‘X-Line’ and ‘GT-Line’ comes with a 7-inch touchscreen display with RDS and DAB radio and Android Auto™ and Apple CarPlay™ connectivity. 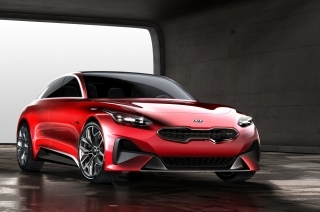 The grade ‘3’, ‘X-Line S’ and ‘GT-Line S’ versions are distinguished by a 7-inch centre-mounted 'floating' touchscreen with satellite navigation, infotainment and connectivity systems, which include integration with Kia Connected Services powered by TomTom™ and Android Auto™ and Apple CarPlay™ connectivity via apps pre-loaded onto a smartphone. In line with most city cars, the Picanto is available only with petrol engines because diesel engines add to the purchase price while offering few advantages in overall running costs. The Picanto's three powerful and refined petrol engines include – for the first time – the three-cylinder 1.0-litre T-GDi unit, which is new for 2018. The 99bhp turbocharged engine develops 171Nm of torque and is capable of accelerating to 62mph in just 9.8 seconds, before reaching a top speed of 112mph. And yet CO2 emissions are just 117g/km, with fuel economy of 48.7mpg on the combined cycle using the latest WLTP testing regime. All three engines are from the Kappa family. 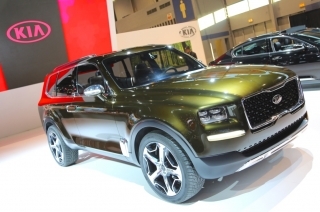 The T-GDi unit is supported by a three-cylinder 66bhp 1.0-litre engine and a four-cylinder 83bhp 1.25-litre unit. Both of these are multi-point injection (MPi) engines. 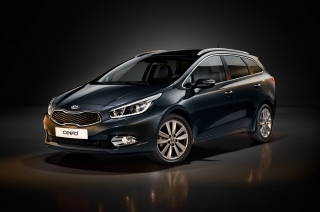 The entry-level 1.0-litre engine is capable of 50.4mpg, with 114g/km CO2 emissions and five-speed manual gearbox. 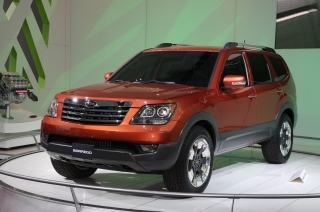 The 1.25-litre MPi engine is available with five-speed manual gearbox and four-speed automatic option. The third-generation Picanto is built on Kia's new and immensely strong H platform, which boosts both driving dynamics and safety. 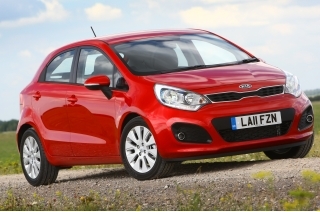 It helps to make the Picanto the safest small car Kia has ever made. 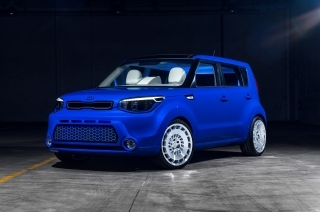 The amount of advanced high-strength steel in the body construction has doubled compared with the outgoing Picanto, from 22 per cent to 44 per cent, making the new car's shell not only more robust but also 23 kilogrammes lighter. At the same time, the number of structural adhesives bonding the body sections together has increased almost nine-fold, from 7.8 to 67 metres, to add further stiffness. As a result, the Picanto is 32 per cent better than its predecessor in torsional stiffness and 12 per cent better for tensile strength. A stiffer body benefits ride comfort and handling by allowing the suspension to do its work without having to compensate for flexing; helps to reduce noise, vibration and harshness; and provides a stronger, safer barrier in the event of impact. 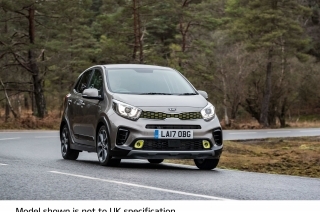 The Picanto, like its predecessor, has MacPherson strut front suspension, but now features a U-shaped torsion beam at the rear and revised trailing arms for improved handling with reduced weight. Steering column-mounted Motor Driven Power Steering (MDPS) with quickened responses reduces turning effort for parking and manoeuvring while providing a firm feel and good feedback at higher speeds. 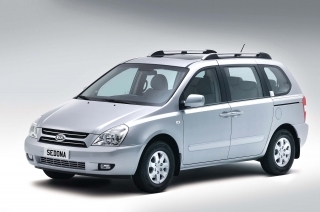 The ride and handling also benefit from measures to reduce cornering roll, while the longer wheelbase and short front overhang improve agility and shift the weight balance slightly rearwards. Re-packaging of the mechanical components lowers the centre of gravity, which further boosts responsiveness. 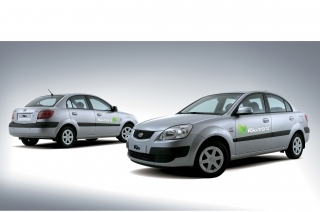 Driver and passenger well-being have also been improved by extensive measures to reduce noise, vibration and harshness. These include greater use of foam, insulation pads and body strips, plus new engine mounts and revised, quieter heating and ventilation units. Even the windscreen wipers have been placed lower to reduce wind noise. 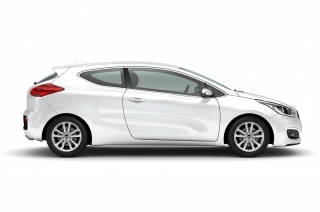 All models are available, either as standard or as an option, with Forward Collision Avoidance Assist, which can bring the car to a complete stop at speeds up to 50mph and to a partial stop at speeds over this figure. 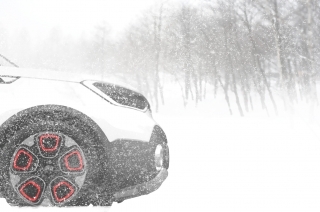 Fitted as standard are Electronic Stability Control (ESC) and Vehicle Stability Management (VSM) to counteract loss of traction and potential skids, while Hill-start Assist Control (HAC) prevents the car from rolling backwards when setting off on uphill gradients. 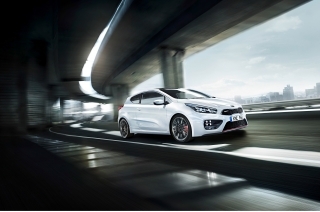 Torque Vectoring is a first for Kia in the city-car class and a further aid to handling stability. Using the anti-lock brake and ESC sensors, it detects when the car is drifting off its intended course in corners and gently brakes the inside rear wheel if the front of the car is running wide or the outer rear wheel if the rear tyres are starting to slide outwards. It is standard on all models. 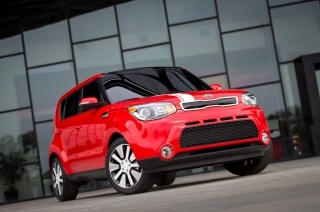 Small cars do not have to be spartan cars. In fact, customers cite equipment levels among their chief considerations in deciding what to buy. The Picanto will not disappoint. Even the entry-level grade ‘1’ model features electric front windows, remote locking with a folding key, tinted windows, AUX and USB ports, a tilt-adjustable steering column, automatic headlight control, electronic stability control (ESC), vehicle stability management (VSM), Hill-start Assist Control (HAC), 60:40 split folding rear seats and six airbags. Options include metallic paint and Forward Collision-Avoidance Assist (FCA) with a 2.6-inch monochrome supervision cluster as part of the optional Advanced Driving Assistance package. 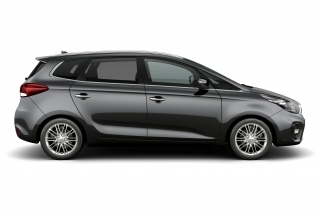 From grade ‘2’, air conditioning, electric rear windows, electric heated door mirrors, Bluetooth with music streaming and a leather-trimmed steering wheel and gearshift are standard. 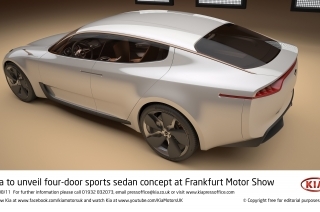 There is a four-speaker rather than a two-speaker audio system, high-gloss lower centre fascia trim, door armrests and air vents, with body-coloured door handles and side mirror housings, a chromed grille surround and 14-inch alloy wheels in place of steel rims. 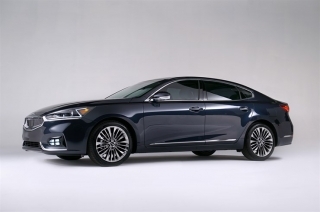 Grade ‘3’ adds Forward Collision-Avoidance Assist (FCA) as standard, 15-inch alloy wheels, the 2.6-inch supervision instrument cluster, front fog lights, electric folding mirrors with LED indicators, a floor-mounted sliding centre armrest, automatic air conditioning, cruise control with a speed limiter, a 7-inch 'floating' central display unit with satellite navigation and full connectivity, Bluetooth with music streaming, a DAB radio as part of a six-speaker audio system, a rear parking camera and sensors and chromed exterior door handles. The ‘X-Line’ is equipped 16-inch rather than 15-inch alloy wheels, unique grey faux leather upholstery, satin chrome door handles, aluminium pedals with anti-slip inserts and privacy glass on the rear windows and tailgate. 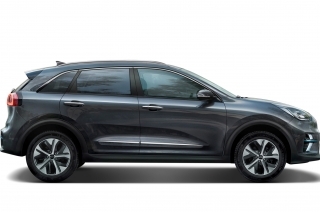 ‘X-Line’ has body-coloured rather than chrome exterior door handles, skid plates beneath the bumpers, twin exhaust outlets, black side mouldings, chrome side window trim, projection rather than multi-focus headlights and LED daytime running lights and rear lights. The lower centre console trim, air vents and door armrests are unique for ‘X-Line’ and ‘X-Line S’ models with white and green accents. The 7-inch touchscreen display with DAB radio and RDS and is compatible with Android Auto™ and Apple CarPlay™. The ‘X-Line S’ variant adds an electric sunroof and chrome exterior door handles to differentiate the model visually from the ‘X-Line’, as well as the addition of automatic air conditioning, cruise control and speed limiter, heated front seats and steering wheel and a smart key with engine start/stop button. 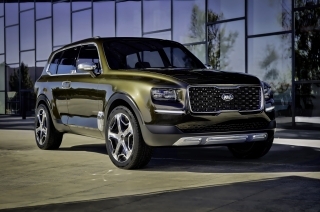 There’s a dual height luggage area floor, and both driver and front passenger sunvisors feature a vanity mirror, with illumination on the driver’s side. 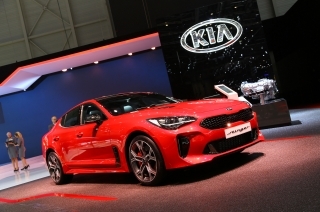 A wireless mobile phone charger is included, along with a 7-inch touchscreen satellite navigation system with RDS and DAB radio and Kia Connected Services. To this, ‘GT-Line S’ adds a wireless phone charger, an electric sunroof, heated front seats and steering wheel, a smart key and push-button engine start/stop, a dual-height boot floor, a luggage net and hooks and a driver's-side illuminated vanity mirror. In addition, a 7-inch central display unit with satellite navigation and Kia Connected Services is standard equipment. In line with every Kia, the Picanto comes with the best warranty in the business – seven years or 100,000 miles, subject to terms and conditions. 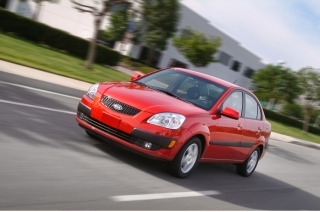 The warranty is fully transferable to the next owner if the car is sold before the time or mileage limit expires. The Picanto requires servicing every 10,000 miles or 12 months. 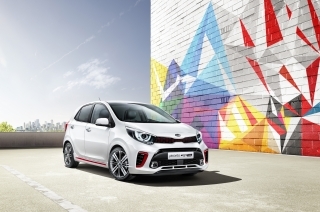 The Picanto is available with Kia’s ‘Kia Care’ service plans, which have been developed to provide customers with a wide range of service plan options for any Kia model within the first seven years of the vehicle’s life – matching its industry-leading seven-year warranty. The third-generation Picanto offers two highly distinctive body styles for the first time with the inclusion of crossover-themed ‘X-Line’ and ‘X-Line S’ models alongside conventional five-door city cars. 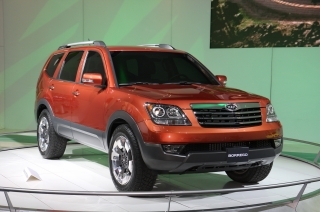 The ‘X-Line’ variants are longer, wider and taller than the rest of the range, and have 15mm greater ground clearance. Size matters when it comes to city cars like the Picanto. Buyers want space, versatility and practicality, but within a compact package that can be threaded through narrow and crowded urban streets and parked in the tightest of hard-to-find spaces. 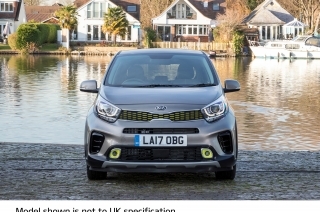 It was with this in mind that the teams at Kia's European design centre in Frankfurt and Namyang in South Korea began co-operating on the design and packaging of the third-generation Picanto. And the starting point was that the conventional city car should not be a millimetre bigger than the car it replaces. 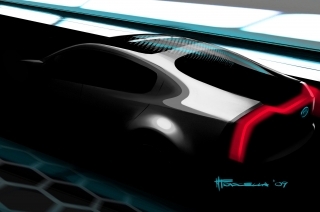 The footprint of the new car is therefore exactly the same as that of the previous one – 3,595mm long and 1,595mm wide. The corresponding dimensions of the ‘X-Line’ and ‘X-Line S’ variants are 3,625mm, 1,625mm and 1,500mm as a result of a 35mm greater front overhang and 40mm longer rear overhang. 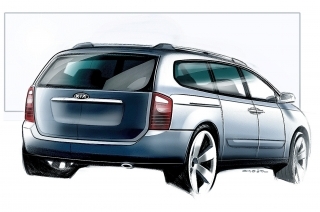 All variants have a 2,400mm wheelbase. Those stark figures do not do justice to the ingenuity that has gone into the Picanto’s design and packaging. 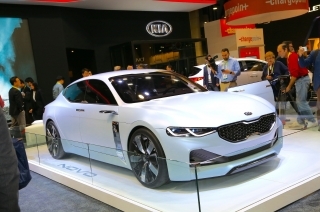 Kia customer research revealed that buyers of the previous model wanted more of everything except overall size – more passenger and luggage space, more features and more quality. 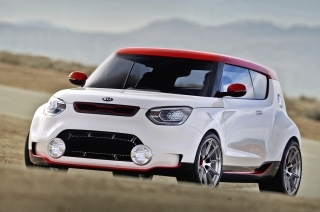 This enforced a complete rethink of the packaging of Kia's smallest European model. Thanks to the new H platform on which it is built, there is a 15mm longer wheelbase without affecting the overall length of the conventional city car, and its front overhang has been reduced by 25mm while the rear overhang is 10mm greater to make space for a larger boot. It is also 5mm taller than its predecessor. 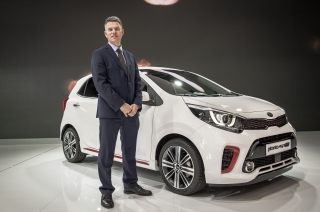 Gregory Guillaume, Kia's Head of European Design, describes the new Picanto as "a small car that someone forgot to tell that it is small". It is more European, more spacious, more sophisticated and more sporty – an important consideration with ‘GT Line’ and ‘GT-Line S’ versions in the range for the first time. 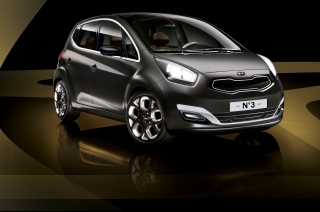 There is a simple elegance about both body styles with the Picanto and a complete absence of fussy extraneous detail, making them more youthful and energetic in appearance. 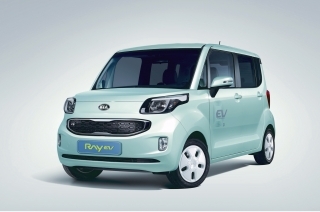 From the front the conventional city car gives the false impression of being wider and more stable than the previous model thanks to the elongated and slimmer 'tiger-nose' upper grille. This is in black with either silver paint or, from grade ‘2’ upwards, a chrome surround. 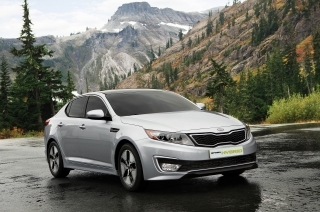 It stretches outwards to meet the multi-function reflector or bi-function projection headlamp units. 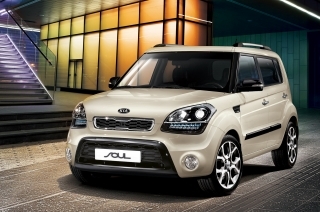 LED daytime running lights are standard on ‘X-Line’, ‘X-Line-S’, ‘GT-Line’ and ‘GT-Line S’. The lower grille/air intake of all models is larger, and is now widest at its lower edge, in complete contrast to that on the previous model. Upright side grilles now house the front fog lights on grade ‘3’, and they are pushed as far outwards in the muscular bumper as is possible. 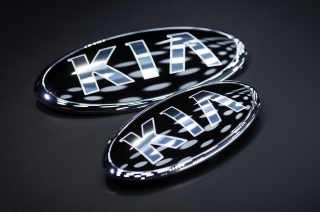 The Kia badge has been relocated from the grille to just above it, and there are concealed windscreen wipers which help towards a drag co-efficient, or Cd, of 0.33, reducing wind noise. Air curtains which channel air away from the wheel arches and wheels reduce turbulence and improve aerodynamics while adding a more dynamic appearance. 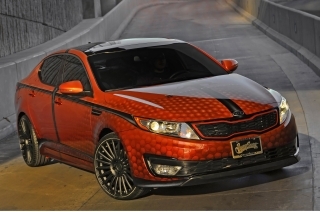 The top of the windscreen is castellated, as on several other Kias. 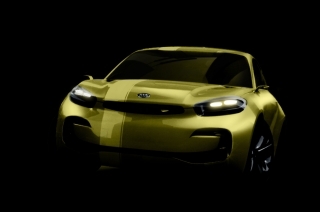 The front fog lights are in the main lower grille on ‘X-Line’, ‘X-Line S’, ‘GT-Line’ and ‘GT-Line S’. 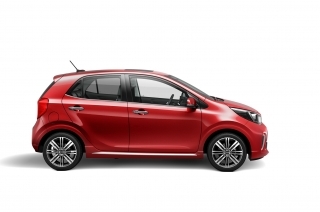 At the sides, the 'cute' and 'cheeky' appearance of the previous Picanto has been replaced by a more assertive and bolder look, with a rich cubic effect and elegant horizontal lines along the side skirts and shoulder. The beltline is now straighter, and it is 5mm lower at the front and 14mm lower at the rear, enhancing the view out for all occupants while making the cabin airier. 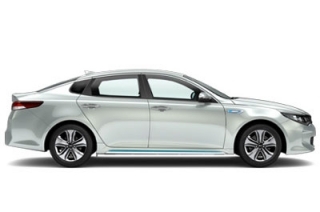 The wide C-pillar – something of a distinguishing Kia feature – is more upright to accentuate the greater cabin space. 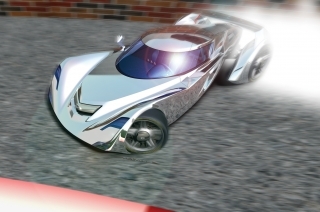 There is a black or chrome beltline moulding, depending on model; tinted glass on every version; privacy glass on the rear side windows and tailgate of ‘X-Line’, ‘X-Line S’, ‘GT-Line’ and ‘GT-Line S’; aerodynamic door mirrors; and wheels of 14, 15 or 16 inches in diameter – alloy on all but grade ‘1’. 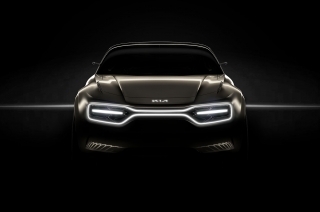 The chunky appearance of the front bumper is echoed at the rear, and here, too, the fog light and reversing light have been pushed as far out to the car's extremities as is possible. C-shaped main light units – LED for ‘X-Line’, ‘X-Line S’, ‘GT-Line’ and ‘GT-Line S’ – are retained, but are more voluminous, with added detail to give a more high-tech image. 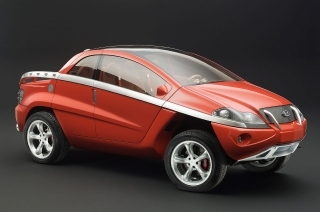 As at the front, the overall effect is to exaggerate the car's width and stability. 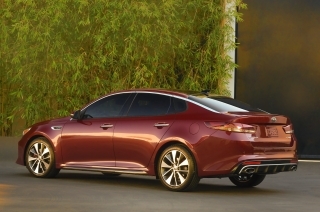 A roof spoiler aids aerodynamics and houses the high-level brake light. Grades with a 7-inch touchscreen have a subtle shark's-fin antenna. 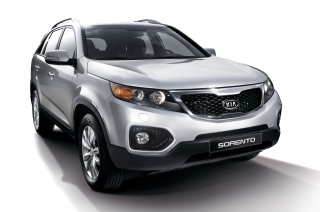 The ‘X-Line’ and ‘X-Line S’ introduces a series of rugged new design cues with more imposing, SUV-style bumpers and silver-coloured skid plates at the front and rear. 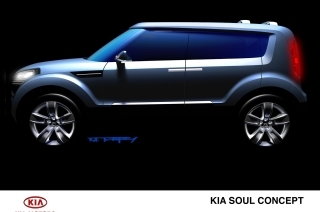 Unique to the ‘X-Line’ and ‘X-Line S’ models, there are black cladding on the side sills and around the wheel arches to enhance the visual effect of the raised ground clearance. 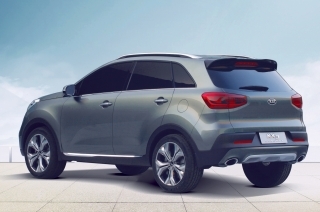 There are twin exhaust outlets, and the ‘X-Line’ and ‘X-Line S’ rides on 16-inch alloy wheels with 195/45 R16 tyres. ‘GT-Line’ and ‘GT-Line S’ have larger sports front and rear bumpers and red highlights within the upper grille and side air intakes, along the side sills and in the lower rear bumper, which contains a diffuser section and twin exhaust tailpipes. The longer wheelbase, higher roofline and new proportions have had a significant beneficial effect on the space within the Picanto. The interior dimensions of the conventional city car and ‘X-Line’ and ‘X-Line S’ are the same, but ‘X-Line’ and ‘X-Line S’ occupants sit 15mm higher up because of the 15mm increase in ground clearance. In all versions front head, leg and shoulder room are greater than in the previous Picanto – by 3mm, 15mm and 10mm respectively – while rear space in all three directions has been largely maintained. There has also been a 55-litre increase in boot capacity, to a class-best 255 litres, while the loading height is 55mm lower in the conventional city car. 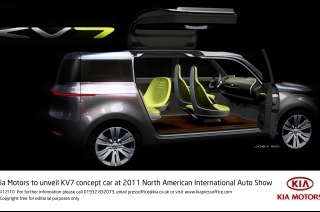 Folding rear seats, split 60:40, are standard across the range, expanding the luggage area to a maximum 1,010 litres. The ‘X-Line S’ and ‘GT-Line S’ has a two-level boot floor. Lots of small, detailed changes in the cabin design and layout further add to space and comfort. The seats are set 10mm lower than in the previous Picanto in the conventional city car, and are 5mm further back. The door trims are more slender and the crash pad is slimmer, while the dashboard and steering wheel have been raised by 15mm and 10mm respectively, creating more knee space. 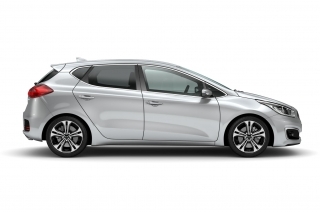 The dashboard, in common with other recent new Kias, is slim and wide to emphasise the cabin's width, and is split along horizontal lines into an upper display area and a lower control area. It is clean, modern and simple, with a satin chrome strip separating the two principal areas. The significantly improved quality of the Picanto – perceived and actual – is evident in the fit and finish and the choice of materials. The instruments appear in a 2.6-inch monochrome or supervision monochrome display. Depending on model, there is black cloth, premium black cloth, grey faux leather (‘X-Line’ and ‘X-Line S’) or black and red faux leather (‘GT-Line’ and ‘GT-Line S’) upholstery. A leather-trimmed steering wheel and gear shifter appears from grade ‘2’ and there are black, silver paint or satin chrome door handles. 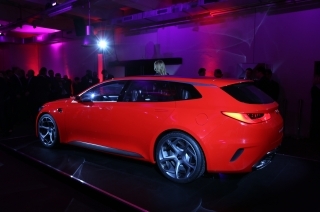 Comfort has been considerably improved by new seats based on those in Kia models two or three classes up. Where the seats in many city cars have one-piece backrests with integrated headrests, those in the Picanto feature fully-adjustable active headrests. 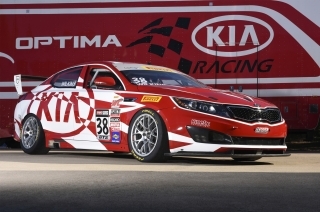 The new seats share the same base materials and construction as those in the latest Optima. In the rear, the backrest angle is more reclined – from 25 to 27 degrees – and there are more prominent side bolsters. All of this makes for a more comfortable and relaxing ride on longer journeys. In-car practicality has not been overlooked, either. There is more storage space which includes, at the base of the centre console, an open double-shelf tray to store mobile devices and other small items, with retractable twin cupholders. The new central armrest for front passengers, which is standard in grades ‘3’, ‘X-Line’, X-Line S’, ‘GT-Line’ and ‘GT-Line S’, is a first in class and slides fore and aft by up to 55mm. It covers a small storage compartment designed to accommodate a one-litre water bottle or a sunglasses case. 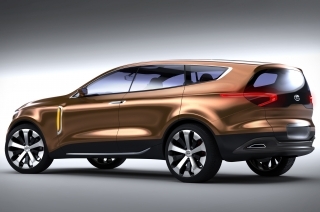 The ‘X-Line S’ and ‘GT-Line S’ also has a tray for wireless charging of mobile devices. ‘X-Line’ is similar in content to the ‘GT-Line’ model, but with unique grey faux leather upholstery, satin chrome door handles, aluminium pedals with anti-slip inserts and privacy glass on the rear windows and tailgate. Its 7-inch touchscreen display with DAB radio and RDS and is compatible with Android Auto™ and Apple CarPlay™. The ‘X-Line S’ variant adds an electric sunroof and chrome exterior door handles to differentiate the model visually, as well as the addition of automatic air conditioning, cruise control and speed limiter, heated front seats and steering wheel, a wireless mobile phone charger and a smart key with engine start/stop button. 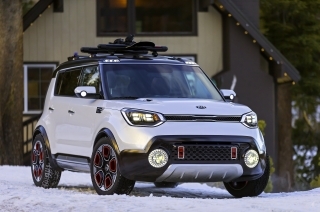 There’s a dual height luggage area floor, and both driver and front passenger sunvisors feature a vanity mirror, with illumination on the driver’s side. 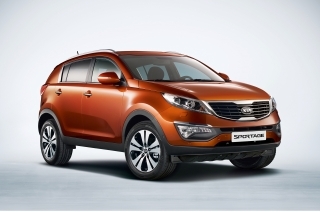 ‘GT-Line’ and ‘GT-Line S’ also have distinguishing features to emphasise their role as the sportiest models in the range. The most obvious of these from the inside is their black and red faux leather upholstery and Aluminium pedals with non-slip rubber inserts. 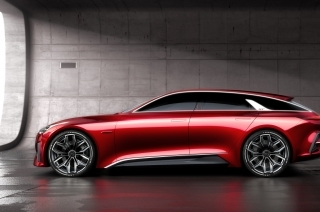 There are satin chrome door handles and, for the ‘GT-Line S’, a heated steering wheel and front seats. 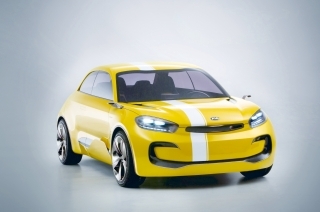 The ‘X-Line S’ and ‘GT-Line S’, along with grade ‘3’ versions, also have a 7-inch central 'floating' touchscreen, giving access to the navigation, infotainment and connectivity systems, which include integration with Kia Connected Services powered by TomTom™, DAB radio and Android Auto™ and Apple CarPlay™ connectivity via apps pre-loaded onto a smartphone. There are 14 versions of the Picanto on offer in the UK, based on three engines, two transmissions and seven trim lines – grades ‘1’, ‘2’, ‘3’, ‘X-Line’, X-Line S’, ‘GT-Line’ and ‘GT-Line S’. 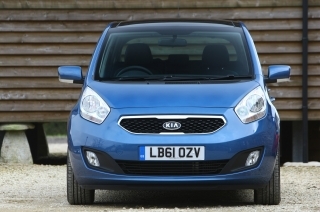 The Picanto may be the entry-level model to the world of Kia, but that does not mean it is a poor relation. 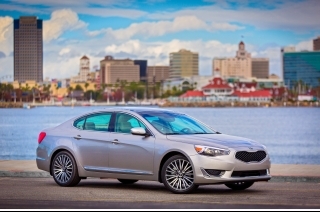 Depending on model, it offers many of the luxuries found in larger Kias and is available with the latest connectivity features and advanced driver assistance systems. 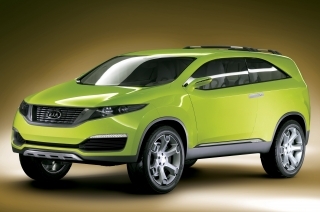 And, for the first time, there are crossover-themed ‘X-Line’ and ‘X-Line S’ and sporty ‘GT-Line’ and ‘GT-Line S’ models. Android Auto™ and Apple CarPlay™ are fitted on all models from grade ‘3’ upwards. Once paired with a smartphone, occupants can play music, send and receive text messages and make phone calls using voice commands. 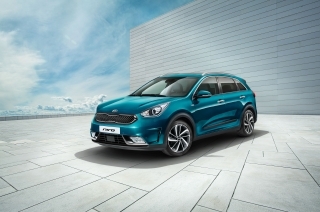 The full-colour display 7-inch touchscreen on grade ‘3’, ‘X-Line S’ and ‘GT-Line S’ models also supplies real-time traffic information and weather reports, local point of interest information and speed camera locations through Kia Connected Services powered by TomTom™. The system includes full satellite navigation and is linked to a reversing camera with dynamic guidelines to help the driver follow the perfect parking course. Forward Collision-Avoidance Assist (FCA) is standard from grade ‘3’ and optional on grades ‘1’ and ‘2’, along with the 2.6-inch supervision cluster, as part of the Advanced Driving Assistance package. 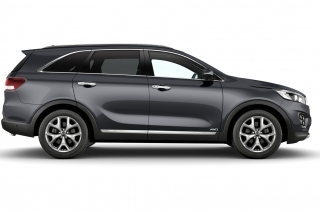 Using a combination of camera and radar, it provides full braking between 5mph and 50mph and partial braking with a driver alert at up to 107mph. As a result, many potential collisions – with both vehicles and pedestrians – can be avoided, while the severity of others may be considerably reduced. ** Check with your dealer for mobile phone compatibility. 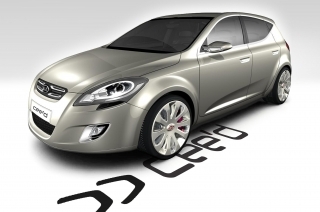 ∆ Advanced Driving Assistance Pack (ADAP), comprises of FCA and Supervision Cluster. Option available for £350 (inc. VAT) on trim where not standard. The most powerful engine ever to appear in a Picanto takes pride of place in the third-generation model. 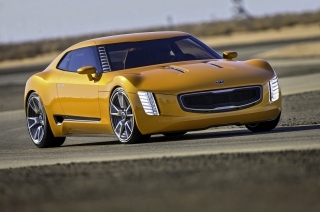 It is a 99bhp version of Kia's in-house 1.0-litre T-GDi (Turbocharged Gasoline Direct-injection) unit and is new for 2018. 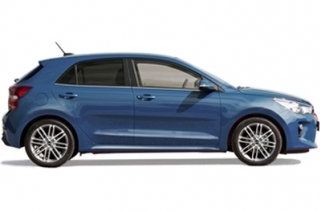 The T-GDi power unit is offered alongside modified 1.0-litre and 1.25-litre multi-point injection (MPi) petrol engines which, like the T-GDi, are from the Kappa family. 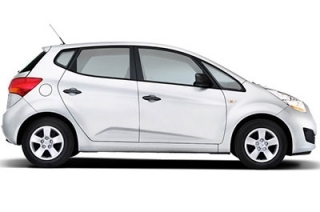 As with the vast majority of city cars, there is no diesel engine because any savings in running costs would not be sufficient to compensate for the higher purchase price. 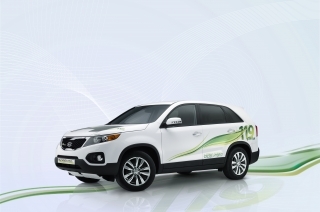 A major re-engineering programme has reduced the fuel consumption and emissions of the MPi engines, which are capable of 50.4mpg and 114g/km. 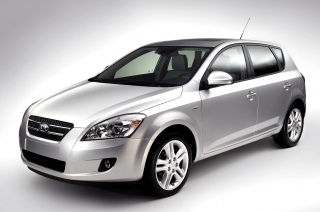 Five-speed manual gearboxes are standard, but a four-speed automatic is available with the 1.25-litre engine. There has been extensive work to enhance comfort and driver enjoyment through revisions to the suspension and steering. The Picanto relies on independent MacPherson struts at the front and a new, lightweight U-shaped torsion beam axle and new trailing arms at the rear. 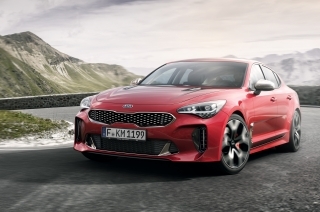 The improvement in ride and handling also benefits from the stiffer new platform and body as well as a quicker rack for the column-mounted Motor Driven Power Steering (MDPS). 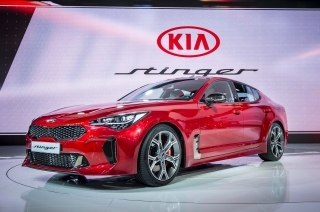 Refinement has been dramatically improved through detailed work on the aerodynamics, body structure, insulation and soundproofing, and is now best in class. The key targets were instantaneous response, high combustion efficiency and exemplary torque across a wide portion of the rev band. 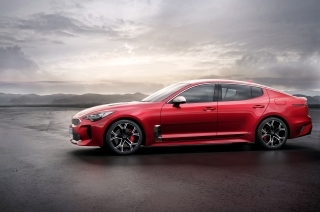 The 1.0-litre 12-valve T-GDi engine develops 99bhp at 4,500rpm and 171Nm of torque continuously from 1,500rpm to 4,000rpm, and features a number of innovative technical solutions. There are laser-drilled injectors with six holes laid out in a pyramid shape so that the fine mist of fuel is spread evenly throughout the cylinders. A straight air intake port ends in a sharp air intake throat, reducing air resistance at all stages of the process. This improves cylinder tumble flow for faster, more efficient combustion while suppressing engine knocking. There is continuously variable valve timing on both the inlet and exhaust sides, electronic throttle control and light, low-friction moving parts. The crankshaft is offset from the centre-line to aid smoothness. As a result of these detailed engineering measures the T-GDi engine exhibits minimal throttle lag – the delay between the driver pressing the accelerator and the turbocharger delivering boost. The turbocharger is integrated within the exhaust manifold. The T-GDi engine accelerates the Picanto from standstill to 60mph in 9.8 seconds on the way to a top speed of 112mph. The new powerplant produces CO2 emissions of 117g/km and is capable of 48.7mpg on the combined cycle. The two petrol engines available in the in the Picanto are a three-cylinder 998cc unit and a four-cylinder with a displacement of 1,248cc. 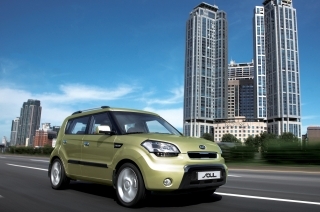 The ‘X-Line’ and ‘X-Live S’ variants are available with the 1.25-litre unit only. Both engines are from the Kappa family and have the same 71mm cylinder bore, but the four-cylinder version has a shorter piston stroke – 78.8mm against 84mm. Both have four valves per cylinder, continuously variable valve timing on the inlet and exhaust sides and multi-point fuel injection for highly efficient combustion with strong performance across a wide rev range. They have a common 10.5:1 compression ratio, a cast aluminium block, low-friction beehive valve springs, an offset crankshaft and a maintenance-free long-life timing chain. 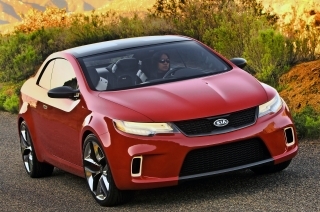 Both have been extensively modified to improve performance, fuel economy and emissions. Upgrades include a new exhaust manifold integrated into the cylinder head and a new cooling system with shut-off valve, reducing the time it takes the engine to warm-up from a cold start. A new two-stage oil pump reduces mechanical friction. For the 1.0-litre unit, a new auto tensioner reduces belt noise, and cooled exhaust gas recirculation minimises pumping losses and knocking while bringing about a two per cent fuel saving. The 1.25-litre unit now features a revised dual continuously-variable valve timing system and new coated piston rings to reduce cylinder friction for greater efficiency, as well as an auto tensioner on the belt and a piston cooling jet. 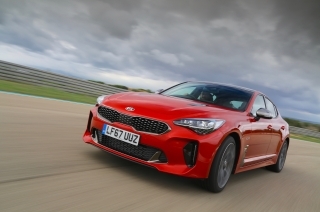 The 1.0-litre 12-valve unit develops 66bhp at a reduced 5,500rpm and 96Nm of torque at 3,500rpm, giving the car a 100mph top speed and sprightly 0-60mph acceleration in 13.8 seconds with immediate responses that befit a primarily urban car. Of equal interest to budget-conscious buyers is its excellent combined economy capable of up to 50.4mpg and CO2 emissions of 114g/km. 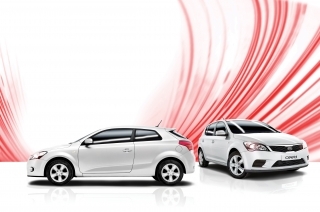 The spread of torque, acceleration and highway performance have all improved compared with the previous Picanto. 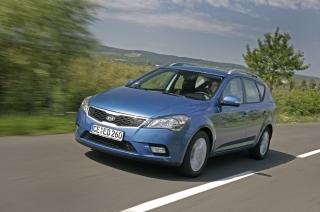 The 1.25-litre 16-valve Kappa engine develops 83bhp at 6,000rpm and 122Nm of torque at 4,000rpm. 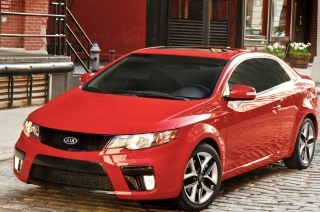 It is allied to either a five-speed manual gearbox or a four-speed torque-converter automatic transmission. 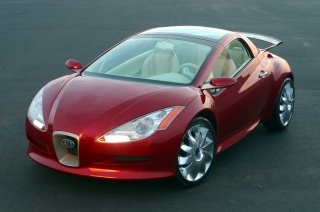 The manual has a top speed of 107mph and a 0-60mph acceleration time of 11.6 seconds. 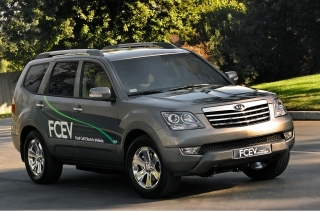 Combined fuel economy is 49.6mpg, while the CO2 emissions are 119g/km. With automatic transmission, the Picanto averages 43.5mpg in the official combined cycle, with CO2 emissions of 136g/km, while the top speed is 100mph, with 0-60mph acceleration in 13.2 seconds. 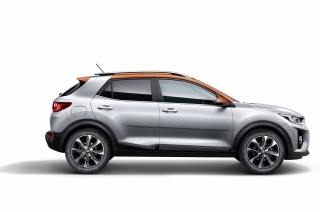 The chunkier ‘X-Line’ and ‘X-Line S’ versions achieve combined fuel economy of 47.9mpg and CO2 emissions of 120g/km in manual guise, and with the four-speed automatic transmission, it is capable of 42.2mpg and 137g/km, respectively. 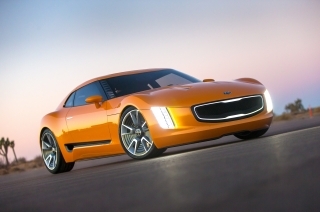 The improved torque characteristics of both engines has allowed Kia engineers to employ higher gearing, which promotes greater fuel economy while reducing noise at cruising speeds. The Picanto, like its predecessor, is based upon a suspension system which features independent MacPherson struts at the front and a torsion beam axle at the rear, with column-mounted Motor Driven Power Steering (MDPS), but there have been extensive revisions to deliver greater driver satisfaction, quicker responses and a more comfortable ride. 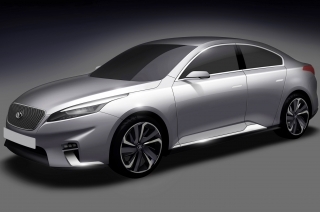 The changes start with the new H platform and the revised proportions and weight distribution of the car. 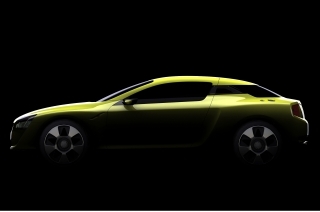 The new H platform features twice as much high-strength steel as in the previous model – up from 22 per cent to 44 per cent – making the new car's shell not only more robust but also 23 kilogrammes lighter. At the same time the amount of structural adhesive bonding the body sections together has increased almost nine-fold, from 7.8 to 67 metres, to add further stiffness. 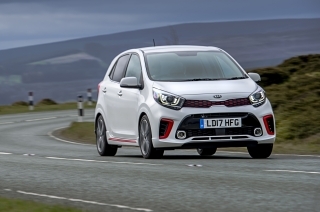 As a result, the Picanto is 32 per cent better than its predecessor in static torsional stiffness and 12 per cent better for tensile strength. A stiffer body benefits ride comfort and handling by allowing the suspension to do its work without having to compensate for flexing; helps to reduce noise, vibration and harshness; and provides a stronger, safer barrier in the event of impact. In the conventional city car, the longer wheelbase, shorter front overhang, larger rear overhang and seats which are 10mm lower and 5mm further back have created a slightly more rear-biased weight distribution, while the small-capacity engines minimise weight over the nose and add to the car's agility. The relocation of mechanical parts because of the shorter front overhang also lowers the centre of gravity, which further aids agility. 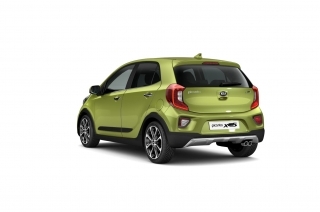 Kia engineers have built upon the sharp handling responses and comfortable ride of the previous Picanto to provide even greater stability and quicker steering reactions – something which is especially helpful in confined city streets and when parking – with an even more comfortable ride. The MacPherson strut front suspension has revised geometry which reduces friction and ensures that the forces from the wheels are now more in line with the dampers. The anti-roll bar is now two per cent stiffer and mounted slightly lower, while that at the rear is five per cent stiffer. This has reduced the angle of cornering roll by up to one degree which, along with the shorter front overhang, improves steering responsiveness. The slightly more rearward weight bias reduces the pitch centre of the car and nose dive when braking, improving ride comfort without the need for firmer spring and damper settings. 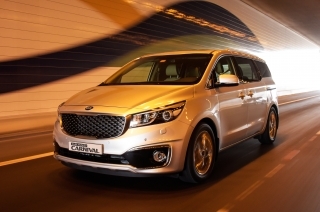 The extended wheelbase also adds to ride comfort. The rear torsion beam is now U-shaped and features new trailing arms which reduce unsprung weight by 1.8kg on the rear axle, with no loss of component rigidity. As at the front, there are measures to reduce friction and maximise damping. The steering rack for the MDPS system is now mounted lower and is 13 per cent quicker, requiring just 2.8 turns between the extremes of lock instead of the previous 3.4. Along with the shorter front overhang, this considerably improves responsiveness and agility in tight manoeuvres and when parking. The Picanto has a tight turning circle of just 9.4 metres. Wheels of 14, 15 or 16 inches in diameter (steel on grade ‘1’ models; alloy on all others) are fitted, with 175/65 R14, 185/55 R15 or 195/45 R16 tyres. All models have a tyre repair kit in place of a spare wheel. Besides being the most engaging small car to drive that Kia has ever produced, the Picanto is also the quietest and most refined. 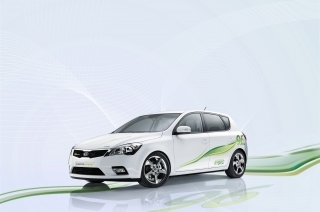 It features a comprehensive package of new NVH counter-measures to shut out mechanical road and wind noise. The Picanto is now the quietest car in class, both when idling (39 decibels) and at a steady cruise (68 decibels). Additional refinement measures include a new soundproofing panel beneath the dashboard and in the floor of the cabin, expandable sound-absorbent foam in the lower sections of the A- and B-pillars and a new sound-absorbent engine cover and reshaped air intake to isolate engine noise from the cabin. 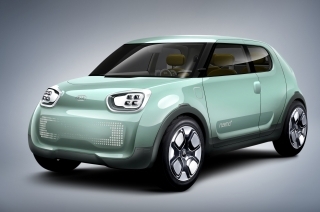 The structure of the engine mounts has been revised to counteract vibrations and there is an improved heating and ventilation radiator which is quieter than that in the previous model. Even the windscreen wipers play a part: they are now 6mm lower to reduce the level of wind noise at the base of the windscreen. 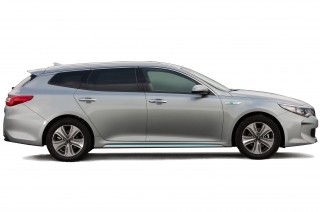 Wind turbulence has also been reduced by the air curtains ahead of the front wheels, which minimise the vortex around the tyres, and by the rear roof spoiler. The ultra-stiff body shell of the Picanto, composed of 44 per cent advanced high-strength steels, has beneficial effects beyond handling and comfort. It provides a greater barrier against injury in the event of an accident. 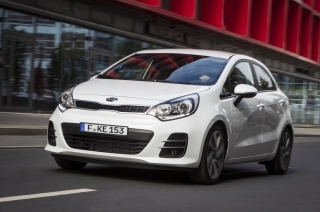 It ensures that all variants of the new Picanto are the safest small car Kia has ever produced. The chassis has carefully designed longitudinal and lateral load paths and greater torsional and bending rigidity than the previous model. Structural improvements include the application of almost nine times more adhesives (now 67 metres) to bond the body together. 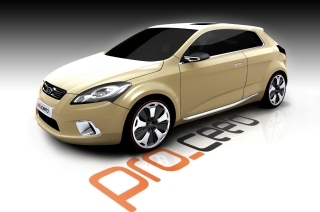 Advanced high-strength steels reinforce all major chassis parts. 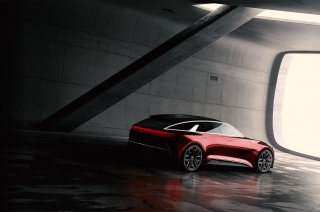 The new, stronger steel has been used to strengthen the floor pan, roof rails and engine bay, as well as the A- and B-pillars, creating a rigid core structure. Electronic Stability Control (ESC) and Vehicle Stability Management (VSM), which work together to stabilise the car on slippery road surfaces or when simultaneously cornering and braking, are joined by a new feature – torque vectoring. 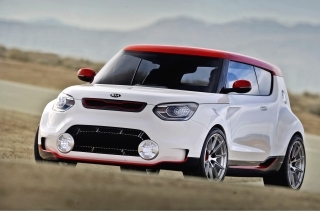 This is a first for Kia in the city-car class and a further aid to handling stability. Using the anti-lock brake and ESC sensors, it detects when the car is drifting off its intended course in corners and brakes the inside rear wheel if the front of the car is running wide or the outer rear wheel if the rear tyres are starting to slide. It is standard on all models. All versions also have Hill-start Assist Control (HAC) to prevent the car from rolling backwards when setting off on steep inclines. There are six airbags, with pre-tensioners and load limiters front and rear to brace occupants in their seats in extreme braking, and to prevent injury to chests. A visual and audible seat belt reminder warning is fitted, and there are ISOFIX child-seat mounting points. 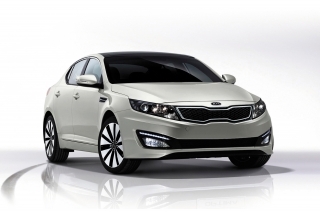 Kia's policy is to make the latest safety and communications technologies available to buyers at every level where they can be done so affordably. With this in mind, every version of the Picanto is available with Forward Collision Avoidance Assist as part of Kia's advanced driver assistance pack (ADAP), and it is standard from grade ‘3’. 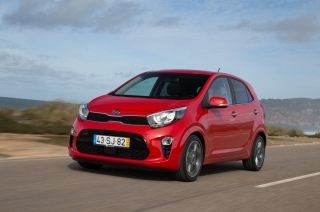 The Picanto is also the first small Kia to feature torque vectoring while, in an increasingly connected world, a Kia Connected Services package powered by TomTom™ and featuring Android Auto™ and Apple CarPlay™ smartphone integration is standard with the grade ‘3’, ‘X-Line S’, and ‘GT-Line S’ models. The ‘X-Line’ and ‘GT-Line’ variants are equipped with Android Auto™ and Apple CarPlay™ smartphone integration. Forward Collision-Avoidance Assist (FCA) with pedestrian recognition takes data from radar and a camera to detect sudden and potentially dangerous braking by a vehicle ahead and activates the brakes. At speeds between 5mph and 50mph the Picanto will come to a complete stop, avoiding many potential collisions and minimising the consequences of others. 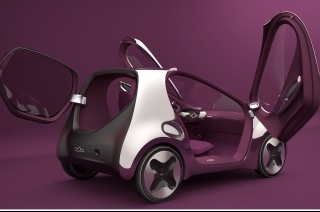 It is also able to detect pedestrians who wander into its path and apply the brakes in the same way. Visual and audible alerts warn the driver of imminent danger so that manual intervention is possible before the car starts to brake automatically. At up to 107mph, partial Forward Collision Avoidance Assist comes into play to reduce the severity of, or completely prevent, collisions. 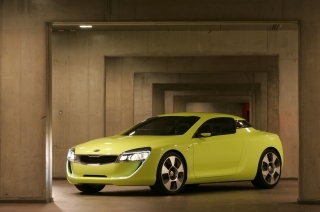 Torque Vectoring is a first for Kia in the city-car class and a further aid to handling stability. Using the anti-lock brake and ESC sensors, it detects when the car is drifting off its intended course in corners and brakes the inside rear wheel if the front of the car is running wide or the outer rear wheel if the rear tyres are starting to slide. It is standard on all models. 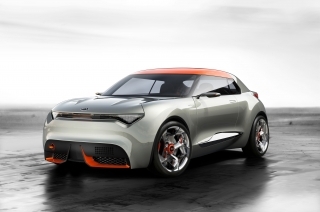 Available on grade ‘3’, ‘X-Line S’ and ‘GT-Line S’, Kia Connected Services with TomTom™ are accessed through a 7-inch 'floating' touchscreen navigation system. The information available to drivers includes live traffic updates, weather reports, speed camera locations and local point-of-interest searches. Android Auto™ is available when paired with Android smartphones running 5.0 (Lollipop) or higher, while Apple CarPlay™ is compatible with iPhone 5 and newer versions of the Apple handset and is standard on models grade ‘3’ upwards. 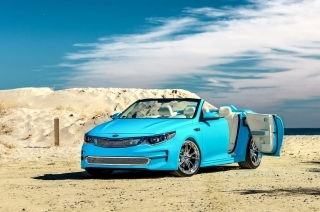 Both allow occupants to connect to various apps and functions, including voice-guided, hands-free calls and texts. Android Auto gives access to Google maps navigation and Google Play music, while Apple CarPlay links to pre-loaded maps, music, podcasts, texts and messages and audiobooks, all through Siri voice control. All three engines are small-capacity units which are sparing with fuel, and the two MPi units have been extensively re-engineered to make them even more so, with economy of capable of up to 50.4mpg. For the relatively small but highly important number of business users, emissions are also low to minimise company car taxation. CO2 now starts at just 114g/km for the 1.0-litre MPi engine. Most owners should need to take the car in for routine maintenance only once a year and the tough new platform and body has been designed with ease of repair in mind to minimise insurance costs. Servicing is required every 10,000 miles or once a year, whichever comes soonest. 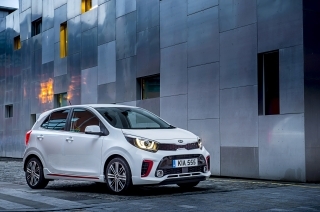 The Picanto is available with Kia’s launched ‘Kia Care’ service plans, which have been developed to provide customers with a wide range of service plan options for any Kia model within the first seven years of the vehicle’s life – matching its industry-leading seven-year warranty. 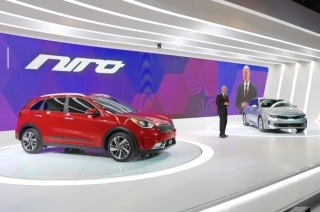 The Picanto is built under a joint-venture arrangement with Donghee Auto Company at a highly modern factory in Seosan, a few kilometres from Kia’s Hwasung plant. 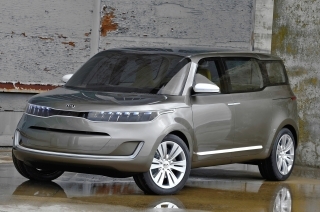 Donghee also makes the Kia Ray, a small hatchback for sale in the Korean domestic market only. 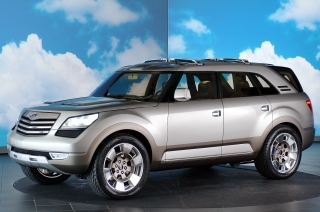 The factory produces a total of 230,000 vehicles a year, of which 90,000 are exported. Originally, DAC was a parts supplier providing suspension, sunroofs and fuel tanks to Kia. 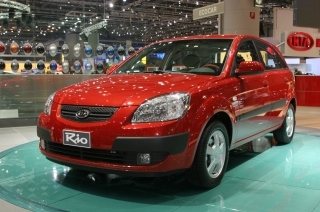 DAC decided to diversify into contract manufacturing in 2001, and in 2004, when Kia needed more production capacity in Korea, it took on building the Picanto. Constant efforts are being made to minimise the plant's effect on the environment. There have been major initiatives to increase recycling, reduce the amount of pollutants and waste in the production process, lower greenhouse gas emissions and cut air pollution through more eco-friendly production systems. Energy-saving measures have also been introduced and Seosan has a target of zero landfill scrap disposal. 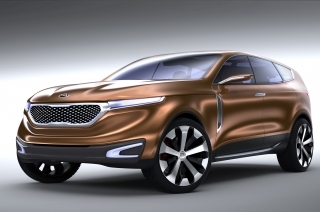 Kia has made reducing the amount of raw materials being fed into the production process a major priority in all its production facilities around the globe. The last few years have seen significant progress in reducing waste, increasing recycling and developing cleaner production processes. 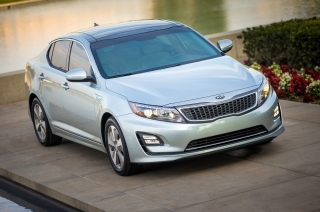 Across all Kia facilities, new technology is playing a significant part in environmental improvement. 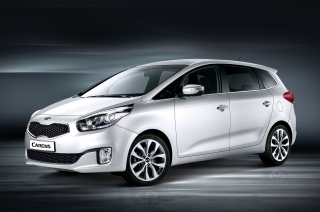 How does the Picanto fit in with Kia's marketing strategy in the UK? 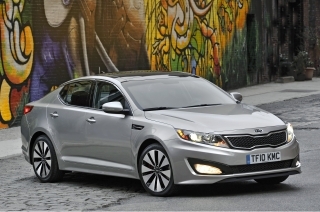 It is an extremely important car for us and could be responsible for almost one in six of our UK sales. 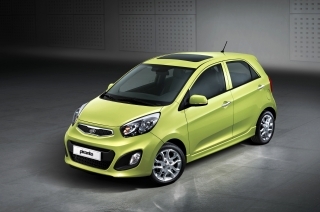 In fact, the UK delivers close to a quarter of all European Picanto sales. 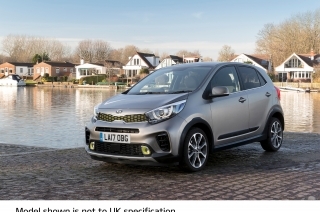 Although the city-car market is shrinking – some forecasters believe that by the end of 2018 it will have been reduced by 20 per cent based on 2015 figures – the Picanto five-door hatchback is bucking the trend and increasing sales, which were up by 23 per cent in 2017. The ‘X-Line’ and ‘X-Line S’ variants will carry on that momentum with the increasing customer demand for crossover-type cars. 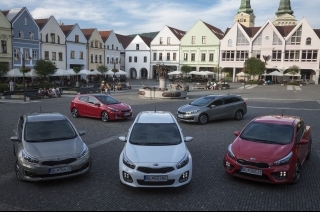 Retail customers represent just over 60 per cent of all city-car buyers, but with Picanto the proportion is 82 per cent, so it is a vitally important car for us in attracting private buyers. 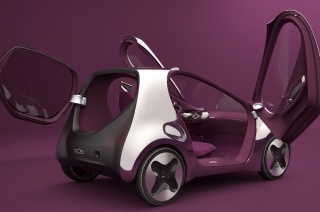 The new body is 23kg lighter than that of the old car, but overall weight has hardly changed. How come? 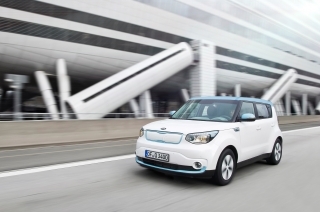 Three words: refinement, connectivity and safety. City-car buyers, many of whom are downsizing from something larger, demand the levels of refinement they are used to, so there is a far greater degree of soundproofing materials in the Picanto. Connectivity systems also add to weight, as do the cameras and radar systems needed for the Forward Collision Avoidance Assist feature. So, overall, the weight is little changed, but the new Picanto is much lighter than if we had continued with conventional and less-safe steels. 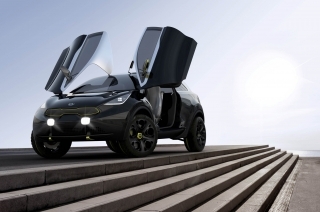 Every model still weighs less than 1,000kg. 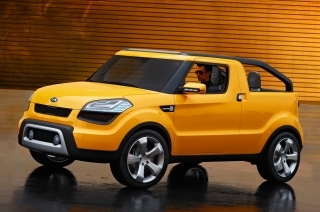 What about future variants – an electric Picanto, or a GT? 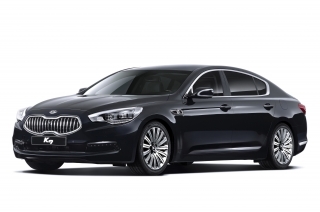 We have had sportier ‘GT-Line’ models since launch and have subsequently added ‘X-Line’, so we are certainly not standing still. 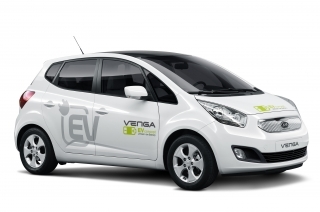 There are no plans to produce an electric Picanto, or hybrid versions, because we believe we are well covered in the small-car alternative powertrain market by the Soul EV until there is a more mature recharging infrastructure. 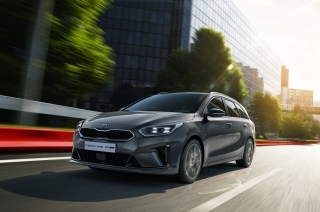 A GT is perfectly feasible – we have an 118bhp version of the T-GDi engine which would slot easily into the Picanto – but 75 per cent of all city-car sales go to models with engines of 75bhp or less. As always, there has to be demand and a strong business case for any additional versions. The new Picanto does not have ISG, your engine stop/start system. Why? The way in which UK car buyers pay road tax, or Vehicle Excise Duty, changed for 2017-18 so that the Government can claw back some of the money it was losing as cars became more fuel efficient. As a result, fuel consumption for the Picanto would have been only marginally better by fitting ISG, while the cost of the car would have been considerably higher. 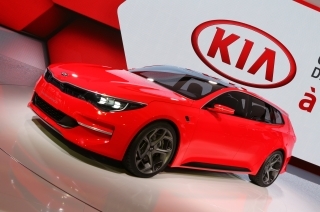 Kia's policy is to ask buyers to pay more only where there are significant benefits in return. 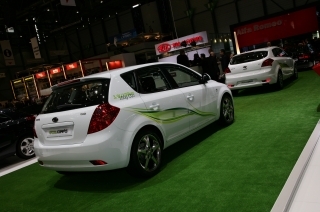 But all versions of the new Picanto produce less CO2 than before, so for the small but significant number of business users, benefit-in-kind taxation rates fall. 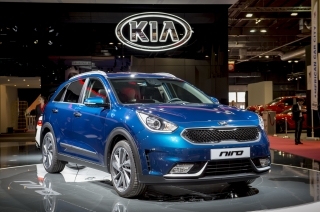 The all-new zero emissions Kia e-Niro has become the first ever Korean car to win the prestigious What Car? Car of the Year award. 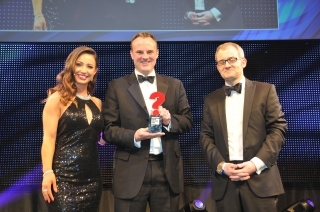 This historic win marks the first time an all-electric car has picked up the top prize of the night. 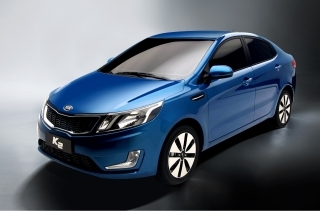 Following the arrival of the Picanto in Kia showrooms last year, the range is now complete with the debut of the flagship 1.0 T-GDi engine. 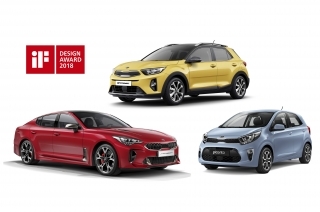 Following on from a successful 2017 which saw over 93,200 models sold, and four new model launches, Kia has received yet more good news to celebrate – winning two awards at the 40th anniversary What Car? Awards, held in London. Following its debut at the 2017 Frankfurt Motor Show (IAA), the latest addition to the Picanto range, the All-New Picanto X-Line goes on sale on 9 January 2018 at Kia showrooms. The Kia Picanto has picked up the accolade for Most User-Friendly Tech at the Car Tech Awards 2017. 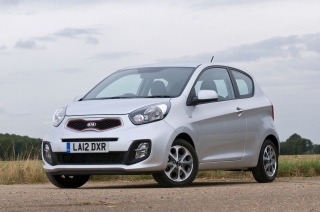 Kia Motors (UK) Ltd. is pleased to announce the Picanto has been awarded the ‘Best Car for less than £150 a month’ at the Carbuyer Best Car award. The all-new Kia Picanto city car makes its public debut today at the 2017 Geneva International Motor Show.